25 Very Helpful CSS Interview Questions With Answers | Latest. 25 Very Helpful CSS Interview Questions With Answers | Latest. Most Frequently Asked CSS Interview Questions For Freshers And Experienced. Latest Css Interview Questions And Answers. 1. What is CSS ? The full form of CSS is Cascading Style Sheets. It is a styling language which is simple enough for HTML elements. It is popular in web designing, and its application is common in XHTML also. 2. What is the origin of CSS ? Standard Generalized Markup Language marked the beginning of style sheets in 1980s. 3. What are the different variations of CSS ? 4. What are the limitations of CSS ? 5. What are the advantages of CSS ? 6. What are CSS frameworks? 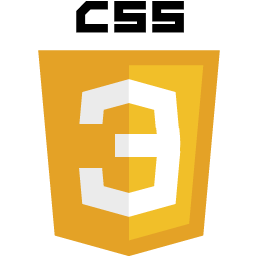 It is a pre-planned libraries, which allows easier and more standards-compliant webpage styling, using CSS language. 7. How block elements can be centered with CSS1? In this case, the left and right margins will be each, five ems wide since they split up the ten ems left over from (40em-30em). It was unnecessary for setting up an explicit width for the BODY element; it was done here for simplicity. 8. Who maintains the CSS specifications? World Wide Web Consortium maintains the CSS specifications. 9. In how many ways can a CSS be integrated as a web page? Inline: Style attribute can be used to have CSS applied HTML elements. Embedded: The Head element can have a Style element within which the code can be placed. Linked/ Imported: CSS can be placed in an external file and linked via link element. 10. What benefits and demerits do External Style Sheets have? One file can be used to control multiple documents having different styles. Multiple HTML elements can have many documents, which can have classes. To group styles in composite situations, methods as selector and grouping are used. Extra download is needed to import documents having style information. To render the document, the external style sheet should be loaded. Not practical for small style definitions. 11. Discuss the merits and demerits of Embedded Style Sheets? Multiple tag types can be created in a single document. Styles, in complex situations, can be applied by using Selector and Grouping methods. Multiple documents cannot be controlled. 12. What does CSS selector mean? A string equivalent of HTML elements by which declarations or a set of it, is declared and is a link that can be referred for linking HTML and Style sheet is CSS selector. 13. Enlist the media types CSS allows? The design and customization of documents are rendered by media. By applying media control over the external style sheets, they can be retrieved and used by loading it from the network. 14. Differentiate logical tags from physical tags? While physical tags are also referred to as presentational mark-up, logical tags are useless for appearances. Physical tags are newer versions while logical tags are old and concentrate on content. 15. Differentiate Style Sheet concept from HTML? While HTML provides easy structure method, it lacks styling, unlike Style sheets. Moreover, style sheets have better browser capabilities and formatting options. Ruleset : Selectors can be attached to other selectors to be identified by ruleset. 17. Comment on the Case-sensitivity of CSS ? Although, there are no case-sensitivity of CSS, nevertheless font families, URL’s of images, etc is. Only when XML declarations along with XHTML DOCTYPE are being used on the page, CSS is case -sensitive. A catalog of directions within braces consisting of property, colon and value is called declaration block. 19. Enlist the various fonts’ attributes? 20. Why is it easy to insert a file by importing it? @import notation, used with <Style> tag. 21. What is the usage of Class selector? it can be A-Z, a-z or digits. 22. Differentiate Class selector from ID selector? While an overall block is given to class selector, ID selector prefers only a single element differing from other elements. 23. Can more than one declaration be added in CSS? Yes, it can be achieved by using a semicolon. 24. What is Pseudo-elements ? Pseudo-elements are used to add special effects to some selectors. CSS in used to apply styles in HTML mark-up. In some cases when extra mark-up or styling is not possible for the document, then there is a feature available in CSS known as pseudo-elements. It will allow extra mark-up to the document without disturbing the actual document. 25. How to overrule underlining Hyperlinks? Control statements and external style sheets are used to overrule underlining Hyperlinks. 0 on: "25 Very Helpful CSS Interview Questions With Answers | Latest."